The original Maintenance Planning Guide was developed and published in 1989. The purpose of that manual was to provide maintenance managers with a quick reference for performing most maintenance functions. It included scheduling forms, traffic control guidelines, function codes, commodity codes and a sample crew report. Since the original publication the guide has been updated to meet the needs of MoDOT. This article provides each manager with a list of recommended equipment and materials to use for each function as well as a recommended procedure for that function. The guidelines also have safety reminders and schedules to help managers plan for the best time of year to perform each function. This article is intended to be an accurate source of information and a tool that maintenance managers will use to better organize, plan and be more productive leaders. 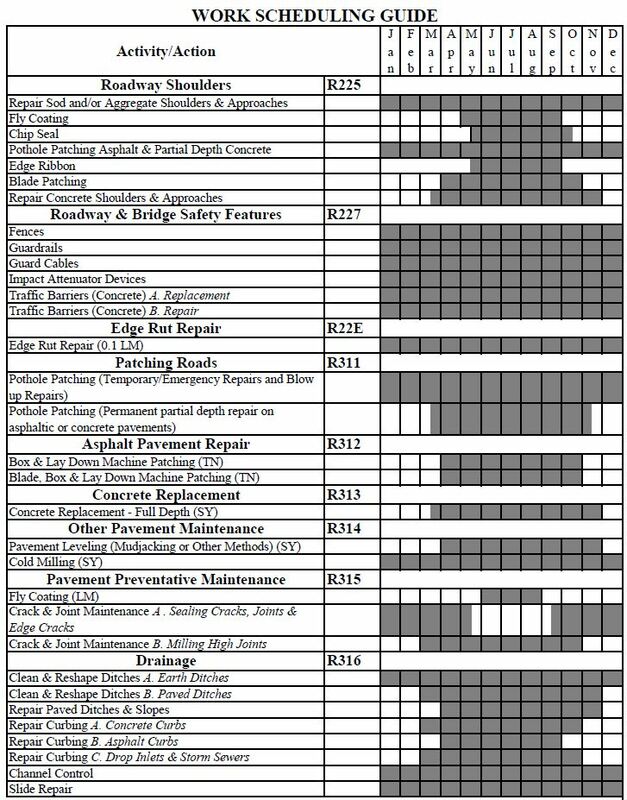 Reference the Missouri Standard Plans and Missouri Standard Specifications for Highway Construction for performance details on many of the maintenance function planning guidelines. It is the intent of the department to provide as good of a finished product with Maintenance forces as it does by contract methods. Recommended materials: When purchasing recommended material, refer to guidance for maintenance materials. Guidance for these materials also refers to the Current General Services Specifications (MGS) by Subject for each of the various maintenance materials. 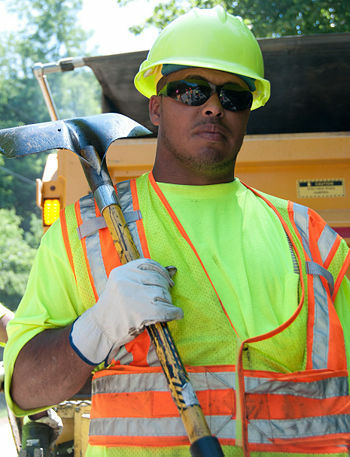 The Highway Maintenance Tables in the appendix were provided to MoDOT through the Local Technical Assistance Program of the Michigan Tech Transportation Institute at Michigan Technological University in Houghton, Michigan. No printable guideline available at this time. R324 Bridge Painting (TN) No printable guideline available at this time. 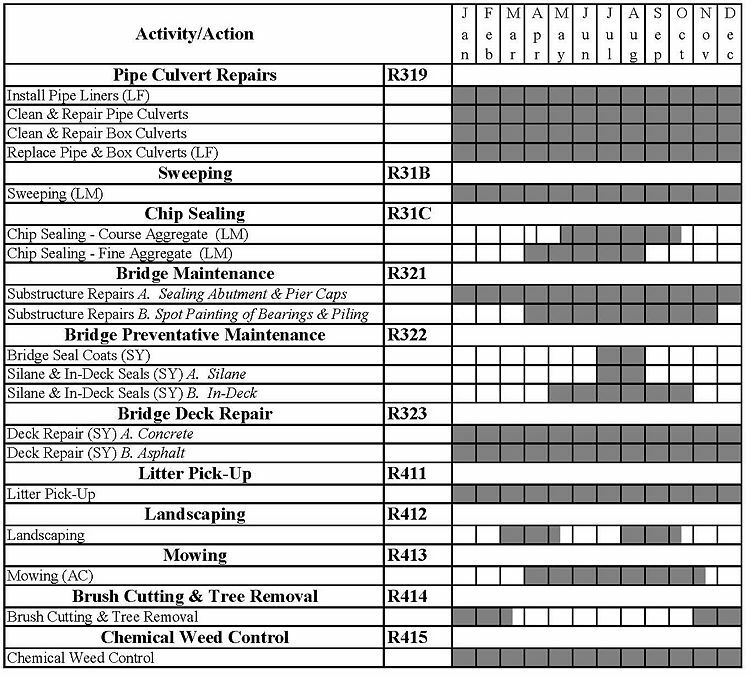 The Highway Maintenance Tables and Conversion Factors contain helpful tables and conversion factors that aid in volumetric and weight measurements needed in maintenance activities. This page was last modified on 16 October 2018, at 08:43.